Most Coming-of-Age films have one thing in common: they always tend to bring a sense of nostalgia to the viewer. And, in my opinion, that’s especially true if the action takes place in the American South, which induces our own sense of past times while presenting us with characters and heroes who are continually conscious of theirs. Some do a better job than others. The film, John John in the Sky (also known as I’ll Wave Back), is one of the best films in the genre. It will capture the viewer’s attention and with a reminder of one’s own adolescence. The story in this film is best summarized by the phrase “a trip down memory lane”. It follows a father (John Clairborne – played by Matt Letscher) who brings his son to the place where he spent his own childhood, to recall the people and events that shaped his personality. As the elder John recalls his childhood (he was called John John back then), he remembered his closest friend – a thirty-two-year-old mentally challenged woman who seemed to be the female version of Peter Pan. She had hung out with the ten-year-old boy, plotting plans with him to build a plane that could carry him and his mother all the way to San Francisco. 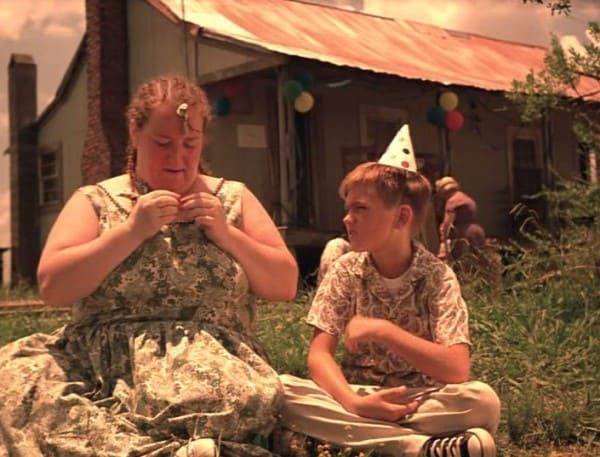 The young John John (played by Christian Craft) and his unusual friend, Zeola (Rusty Schwimmer), are two of the most adorable characters you will ever see on screen. Their friendship is heartwarming, even though, as in all friendships, it’s challenged more than once. This is especially true when John John was befriended by a boy his own age who didn’t hesitate to insult the woman because of her mental condition. In John John’s family things were far from perfect. His father was harsh and abusive, while his mother’s only dream was to run away and live in a hippie commune where she could “sit around and listen to music”. 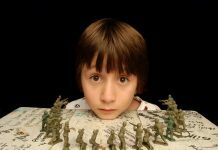 In between the extreme opposites of his parents – the little boy had a hard time making sense of his father’s “down to earth” beliefs and his mother’s laid back, abstract idea of life. While his father provided for the family, he often badly threatened both his wife and son. The father believed he was merely insisting on discipline but, in reality, his abusive behavior made him “mean as a snake”, as John John told his friend Zeola. John John in the Sky is a beautifully shot film, with both excellent camerawork and photography. It features beautiful scenery bathed in colors, which makes the film pleasurable to watch. The editing is equally good, with frequent flashbacks and fading transitions between the scenes. The transformation from the present to the past and back to the present again, as the father recalls his childhood is, by far, the most enigmatic presentation of a time trip you will ever see on film. 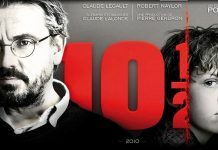 You are guaranteed to relate to the characters thanks to the splendid acting and the immense talent of the film’s cast. Add to that the blues/honky-tonk soundtrack, the powerful story, dramatic ending and the various moral issues that the film raises and you have a prime example of a masterfully done coming of age drama that is well worth your time. The film, John John in the Sky (also known as I'll Wave Back), is one of the best films in the coming of age genre. It captures the viewers' attention and reminds them of their own adolescence. I really liked the film and honestly think that the audience of the site would like it as well which is reflected in the four star rating . I viewed this film many years ago and enjoyed it immensely! The protagonist did an outstanding job as I recall and captured my attention drawing me into the plot which at times was disturbing, but very much reality for many poor families in America. His ability to make a friendship with a friendless older mentally challenged woman was very uniquely portrayed and kept me interested to see how the story would unfold. 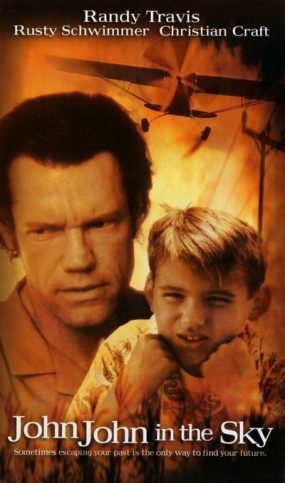 The abuse that young John John (Christian Craft) endured and overcame with his dreams of soaring above them reminded me briefly of the film Radio Flyer (1992), one of my favorites with two of my favorite young actors.